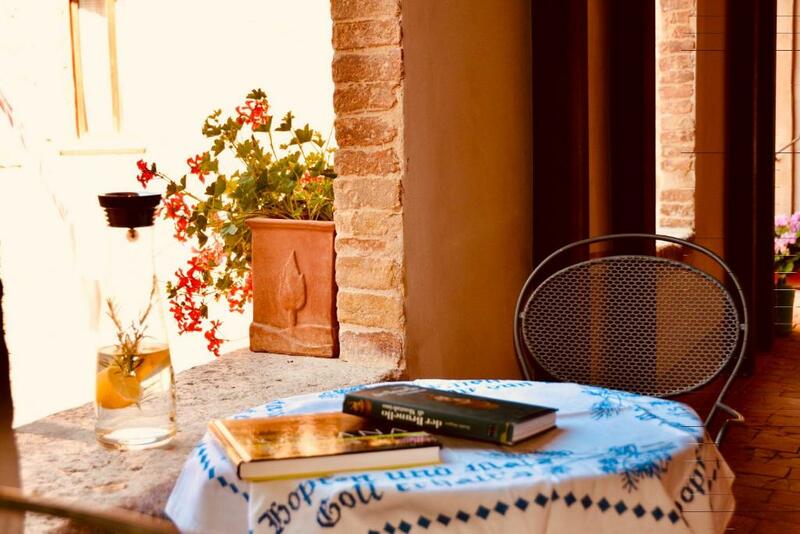 Located in San Quirico dʼOrcia, Casa Fortuna provides air-conditioned accommodations with a terrace and free WiFi. Guests staying at this apartment can use the fully equipped kitchen and a patio. The apartment consists of 1 bathroom with free toiletries and a hair dryer, and a seating area. A flat-screen TV is featured. 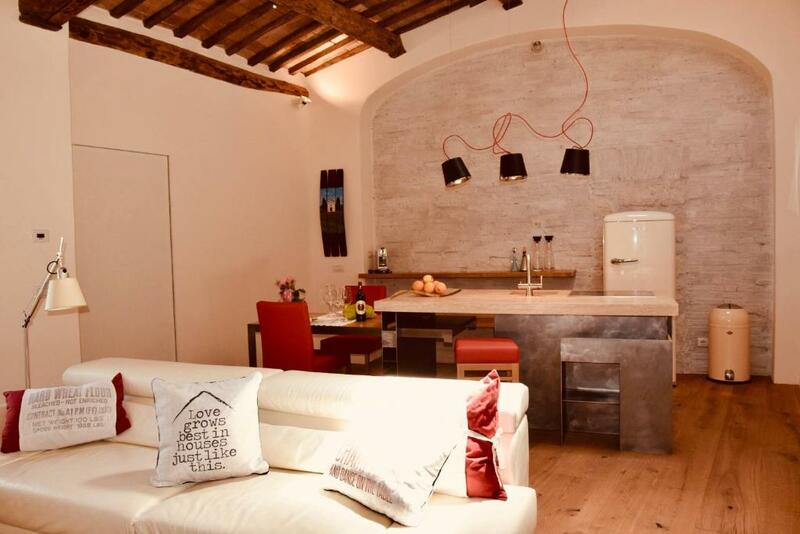 Siena is 28 miles from the apartment, while Bagno Vignoni is 3.2 miles away. 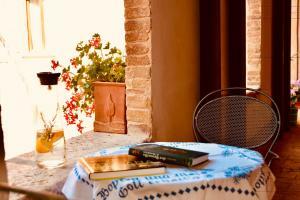 The nearest airport is Grosseto (Baccarini) Airport, 46 miles from the property. When would you like to stay at Casa Fortuna? Featuring a patio and garden views, this air-conditioned apartment has an equipped kitchen and a private bathroom. 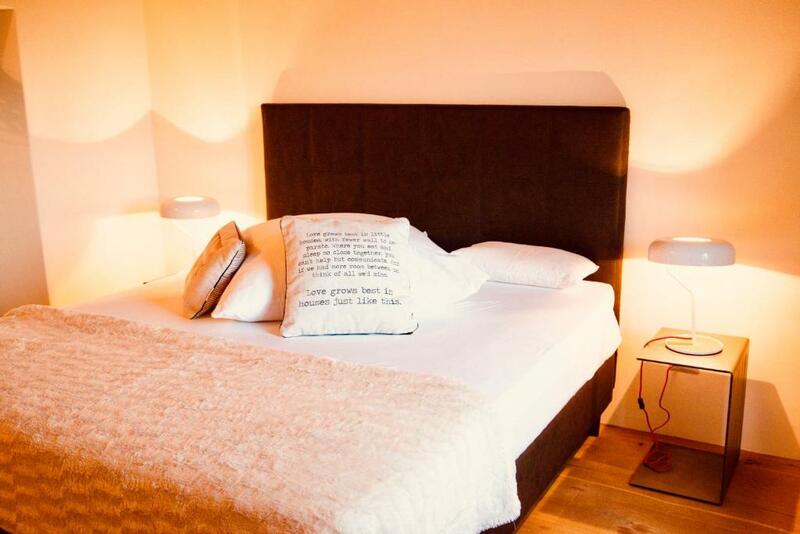 Urlaub zwischen Design und Komfort, Natur und Kultur, Ruhe und Genuss bietet dieses liebevoll renovierte Appartement. Ruhig und doch zentral gelegen, im Centro Storico von San Quirico d'Orcia im Herzen des Val d'Orcia. Das Haus aus dem 12 Jahrhundert wurde komplett renoviert. Das Appartement besteht aus einem Schlafzimmer mit einer hochwertigen Matratze für angenehmen Schlafkomfort, aus einer modernen Küche mit Kamin und einem modernen Bad. Nur wenige Minuten entfernt erwarten Sie zu jeder Tageszeit zahlreiche Bars, Restaurants, Gärten und Terrassen mit regionaler Küche und toskanatypischen Spezialitäten. Ein Supermarkt, mehrere Feinkostläden und Weinhandlungen befinden sich ebenfalls ganz in der Nähe. Grosse Parkanlagen, ein romantischer Rosengarten, ein Spielwiese und Spielplätze laden Jung und Alt zum Verweilen ein. Für Notfälle gibt es Ärzte und eine Apotheke im Dorf. In umliegender Nähe befindet sich ein öffentliches Schwimmbad sowie mehrere Thermal Strukturen. Wir sind nicht nur beruflich gerne Gastgeber sonder immer wieder interessiert Gäste zu empfangen und Ihnen Land und Leute näher zu bringen. 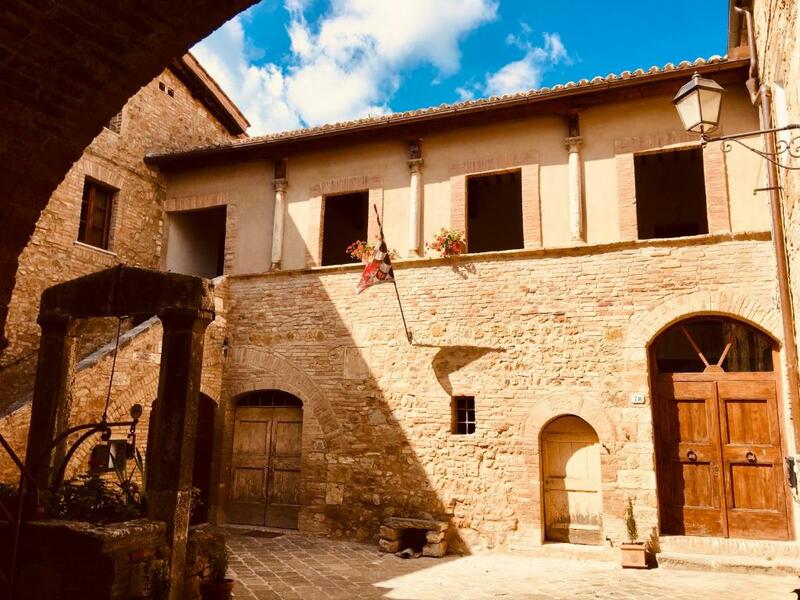 Ob Montalcino, Montepulciano, Pienza, Siena oder Florenz im Val d'Orcia gibt es für jeden etwas. Weinliebhaber, Kulinarik, Kultur, Fotografie entdecken Sie das einzigartige und zauberhafte Val d'Orcia auf Ihre Art und Weise. 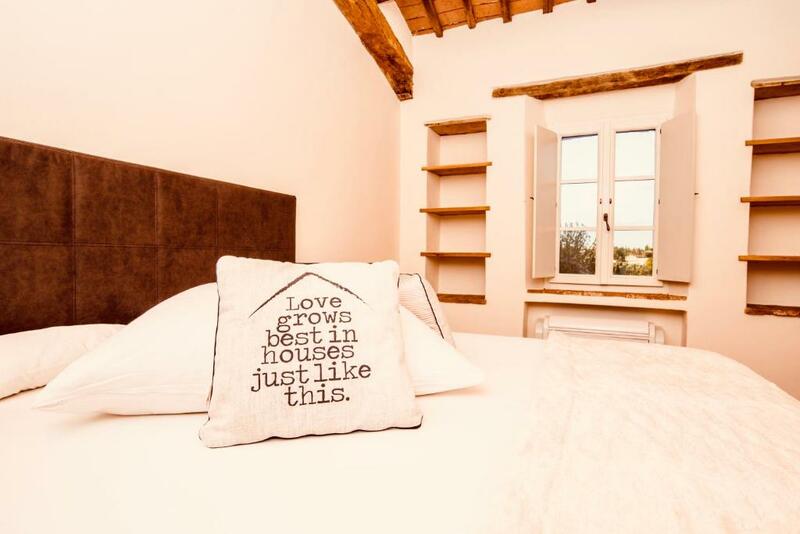 House Rules Casa Fortuna takes special requests – add in the next step! Please inform Casa Fortuna of your expected arrival time in advance. You can use the Special Requests box when booking, or contact the property directly using the contact details in your confirmation. We need at least 5 reviews before we can calculate a review score. 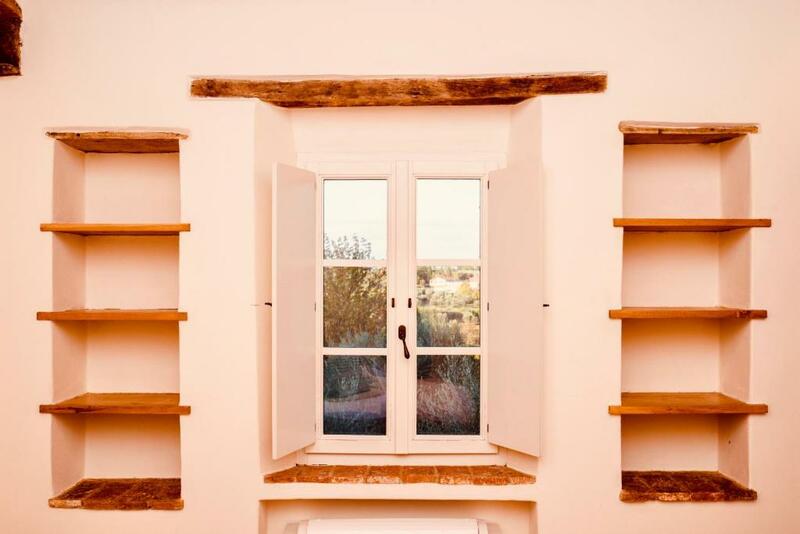 If you book and review your stay, you can help Casa Fortuna meet this goal. For our longer stay, it would have been convenient to have a washer/dryer. We used the laundromat located just outside the main square. We were in Tuscany for one month and of this, our 8 night stay at Casa Fortuna was our favorite! Loved the chic but comfortable design within a historic building. Just the right amount of the original features were left (like the exposed wooden beams) Very well planned. Fireplace was such a bonus! Great views and natural light in bathroom and bedroom. Ulli, our host, provided a helpful guide of area villages and places to explore. She was happy to suggest and arrange a private wine tour (which was amazing!). Parking was not on-site, as is the case in most of the villages, but there was a free-of-cost lot just a few minutes walk from the apartment. Can’t wait to return!! The large pillows taking up most of the bed and nowhere to store them. Our hosts, Ulli and Anton were very welcoming. They put up with me being lost just before arrival time and Anton did his best to direct me to where Ulli was waiting. My Italian consists of about three words so I passed the phone to my wife who does speak some Italian and Anton managed to guided us to where Ulli was waiting. The apartment was very good and and set up with eye-catching interior design. It was immaculate, had nearly all the things required for a good stay. I recommend this to any one or a couple intending to stay in San Quirico dʼOrcia .